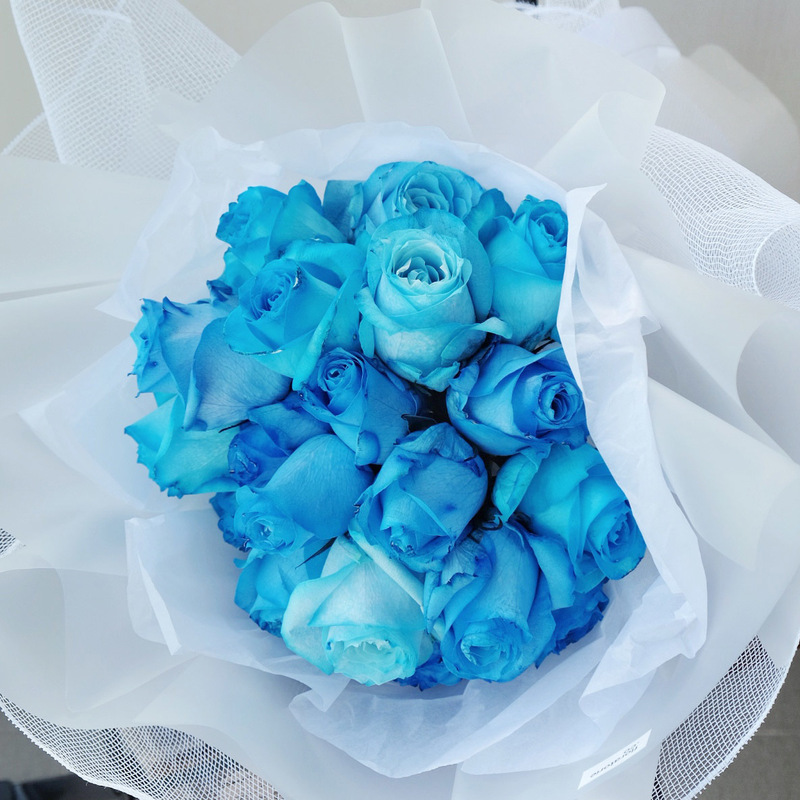 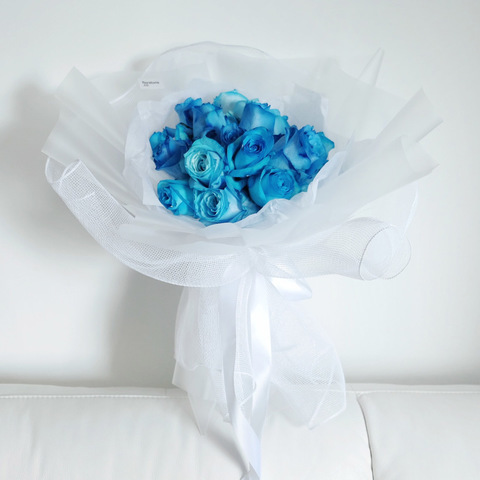 The ocean blue roses represent mystery and mystic, 12 ocean blue roses means "Your uniqueness is what define you, my angel, be my sweetheart." 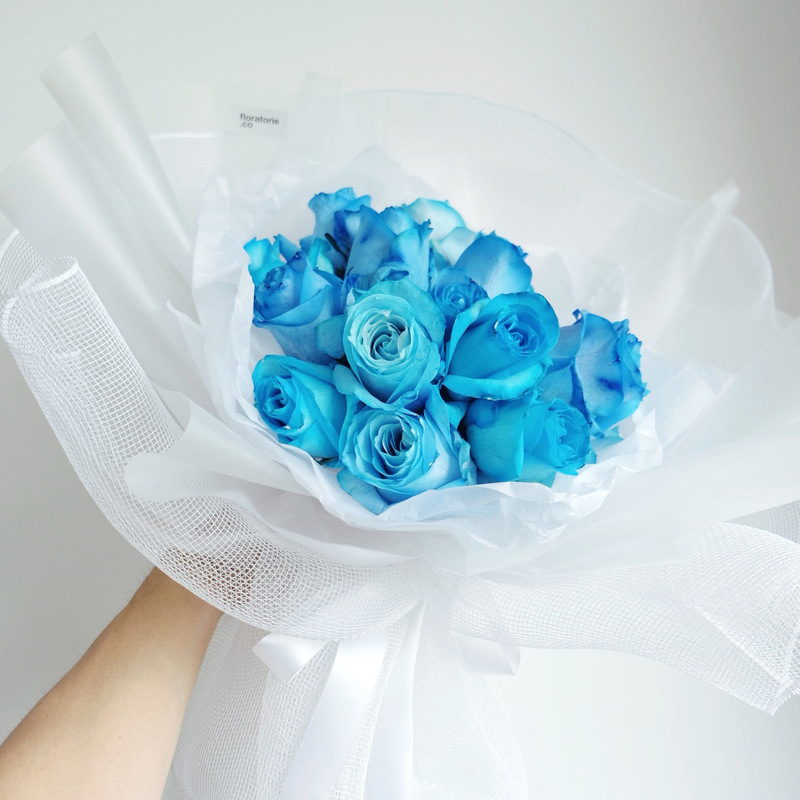 As with all fresh flowers, the flowers shown are seasonal. 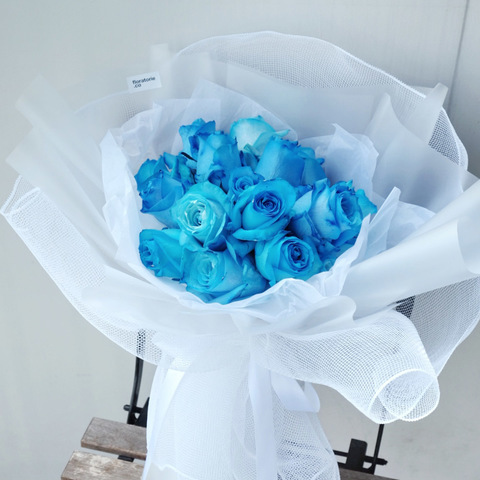 All flowers are subjected to changes based on availability. Rest assured, the bouquet will look as beautiful as ever!